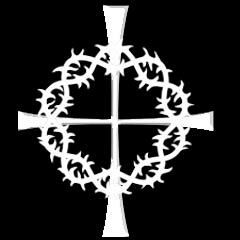 Viatorian Associate Euchrist J. 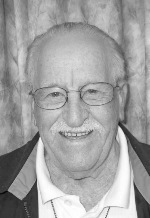 “Mush” Marcotte died Jan. 16, 2014 at his home in Bourbonnais after an extended illness. Mush was born on June 18, 1926. He was 87. Maternity of the Blessed Virgin Mary Church in Bourbonnais was his home parish while growing up and where he celebrated nearly all of the sacraments, including baptism, first communion, confirmation and marriage. He was ordained as a Permanent Deacon on Sept. 6, 1986 by Bishop Joseph Imesch. He made his first commitment as a Viatorian associate on July 9, 2003 and recently made his definitive commitment to the Viatorian Community. His ministry as a deacon and as a Viatorian associate was described as a vital one in delivering sacraments to parishioners and in the many other ways he served the parish and school. Mush worked for the U.S. Post Office and later at Maternity BVM Catholic Church, school and cemetery. He worked for the Village of Bourbonnais Animal Control, where he always found homes for the animals. He was one of the first bus drivers for Bourbonnais Elementary District 53. He retired in 1993 after more than 35 years of service to Maternity BVM. After that, he was an active volunteer at Share Foods, and he also worked at Clancy-Gernon Funeral Homes. Mush made several medical mission trips to Belize with his sister and brother-in-law, Henrietta and Francis “Foo” Chamness, where he made many new friends. One of his passions was to restore unclaimed bicycles obtained by the Kankakee Police Department. Together with Foo, he restored nearly 10 shipments of bicycles to send to the Viatorian mission in Belize. On one of the parish’s medical mission trips to Belize, he and Foo saw a man riding a bike that they had restored. Visitation was held Jan. 20 at Clancy-Gernon Funeral Home in Bourbonnais. A Mass of Christian Burial was celebrated at Maternity BVM Church on Jan. 21 by Bishop Imesch and the sermon was offered by the Rev. 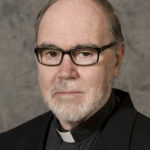 Thomas R. von Behren, CSV, provincial of the United States Viatorian Community. Interment was at Maternity BVM Cemetery. Please remember “Mush” and his family in your Masses and prayers.